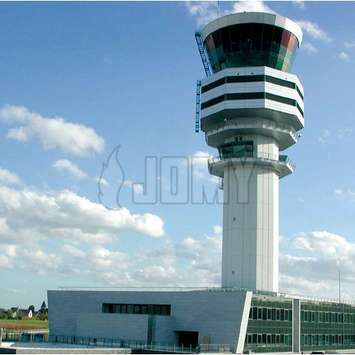 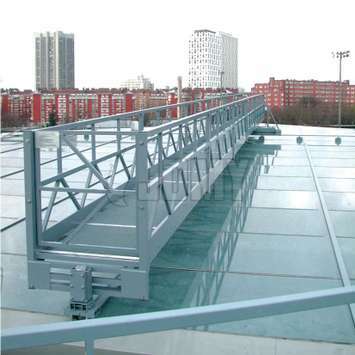 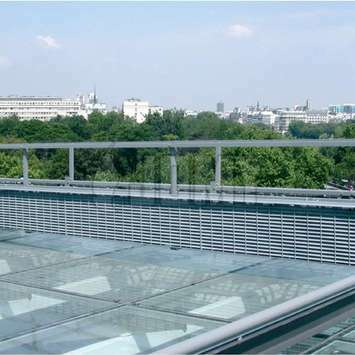 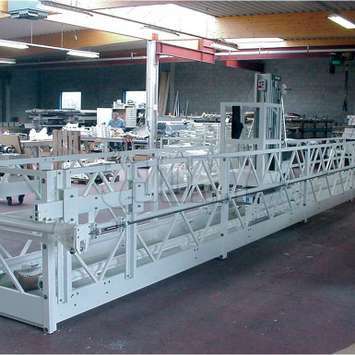 Aluminium structures engineered to the highest standards: stairs, ladders, access gantries, platforms, carts and cages. 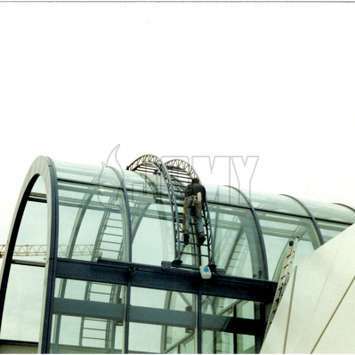 For horizontal, vertical, sloped, round or curved surfaces. 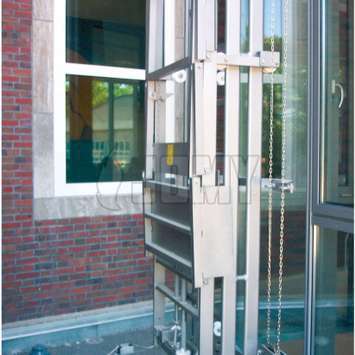 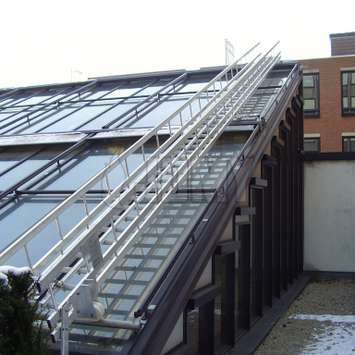 The preferred solution for an easy and safe access. 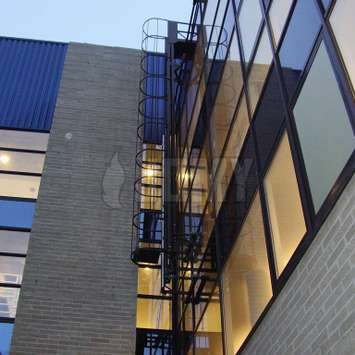 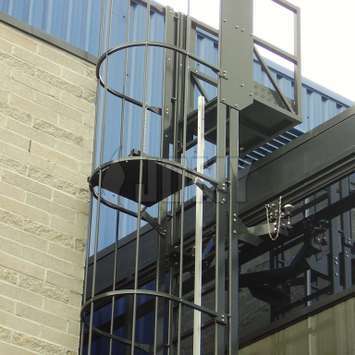 Our permanent access systems are composed of working structures that move over a series of fixed rails, which are attached to the building. 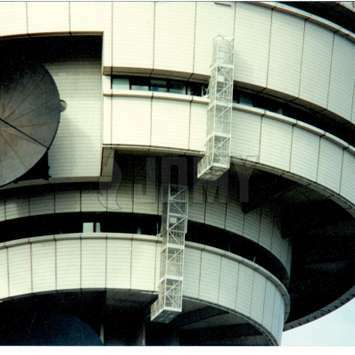 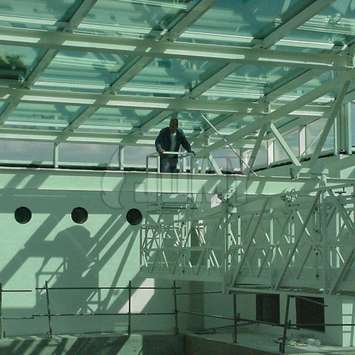 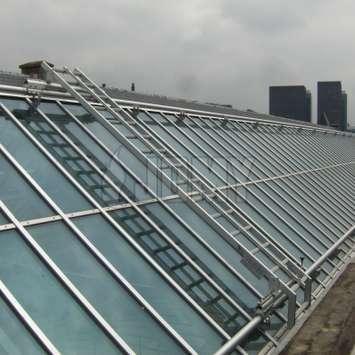 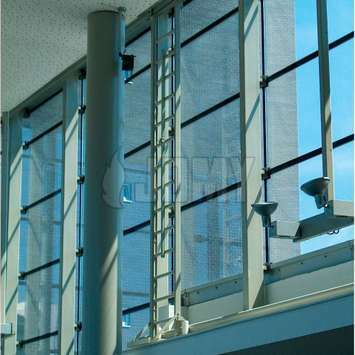 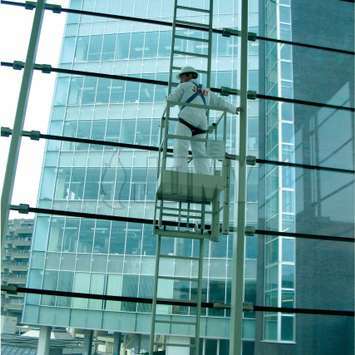 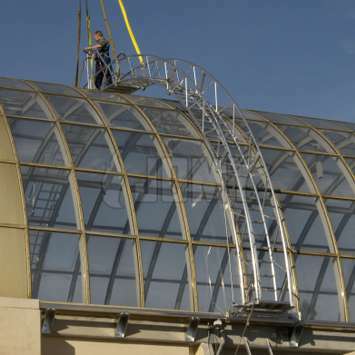 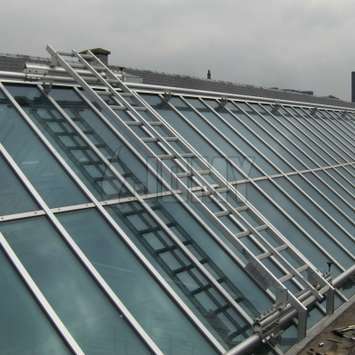 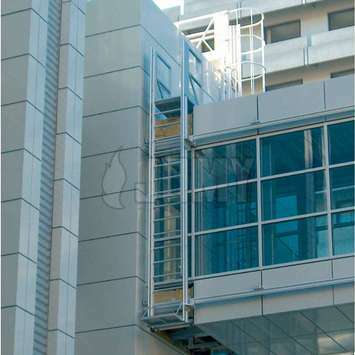 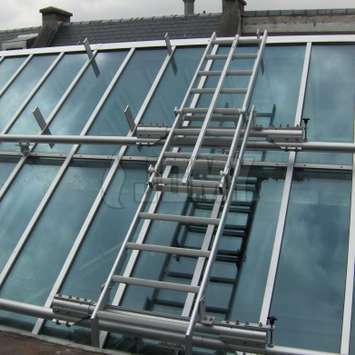 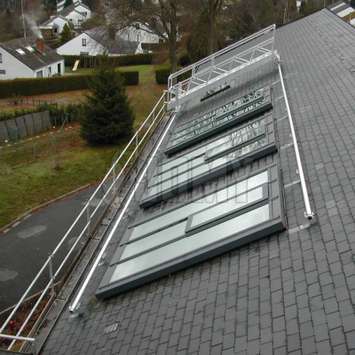 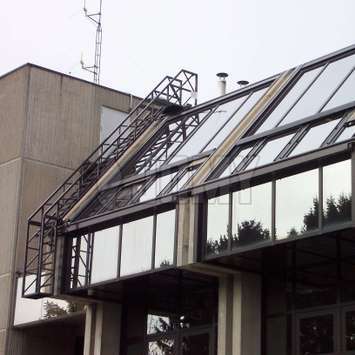 From the working structure one can safely access the façade for cleaning or maintenance purposes. 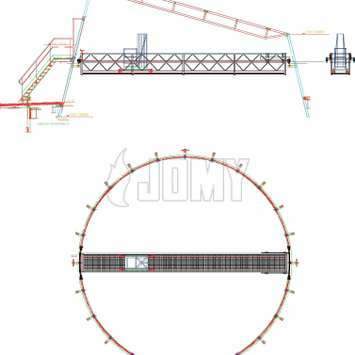 The working structure is designed to meet your specific requirements. 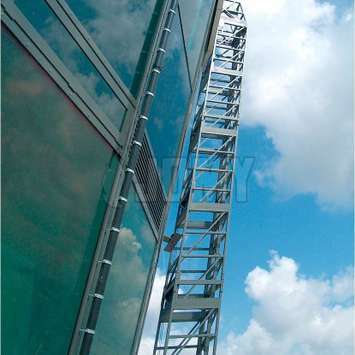 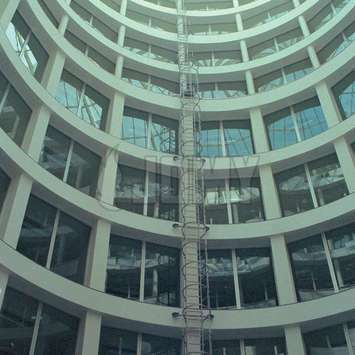 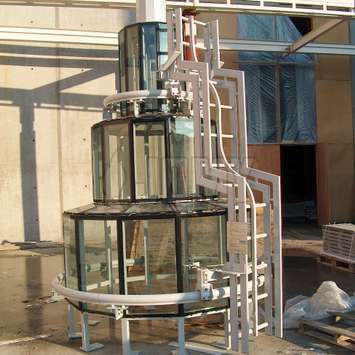 It can take many different forms, such as a vertical ladder with or without movable platform, a reinforced ladder (vertical, horizontal or sloped), a staircase, a solid gantry, a gantry that in turn has moveable parts, etc. 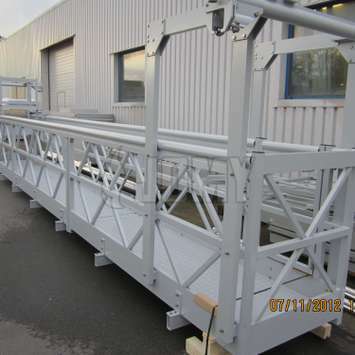 The rails carry and guide the working structure. 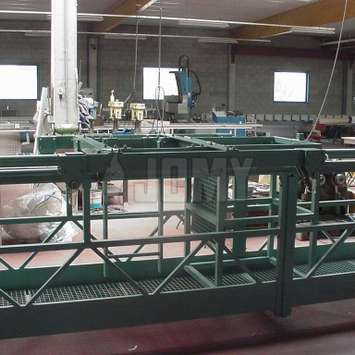 The connection between the rails and the moving parts is made by bogies. 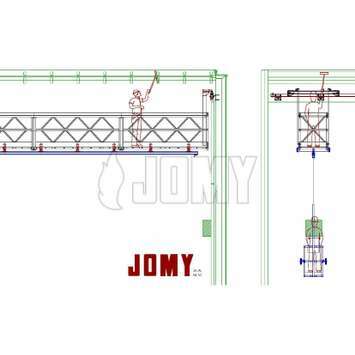 In most designs, the movement of the working structure is powered by human force only. 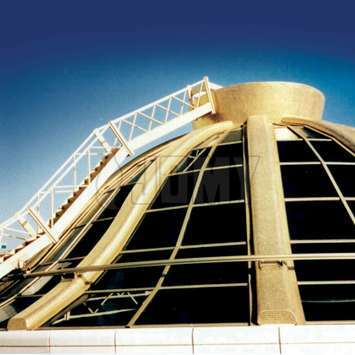 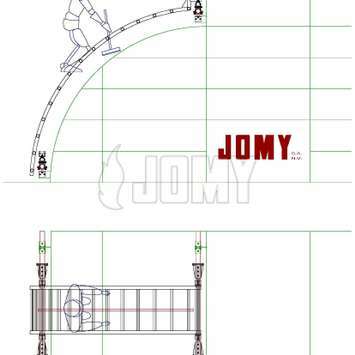 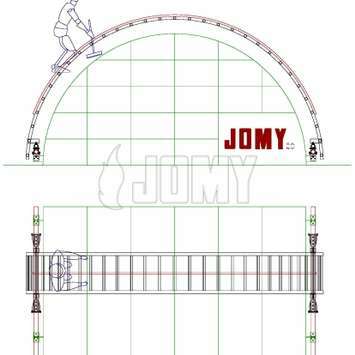 JOMY offers two types of rail structures: round and I-shaped. 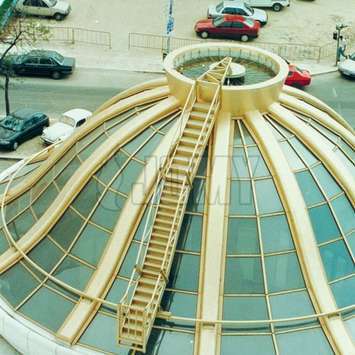 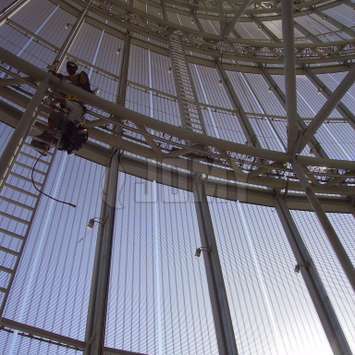 The round rail is used as a "floor" for the structure (the moving part rests on the rail). 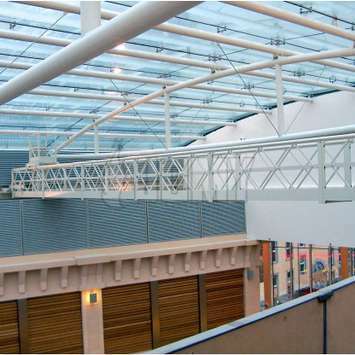 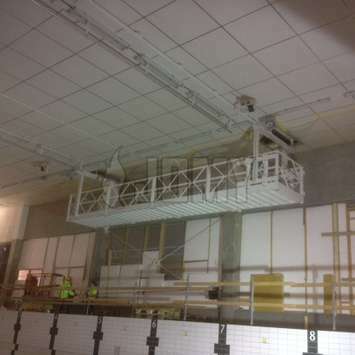 The "I" rail is used as a "ceiling" for the structure (the moving part hangs from the rail). 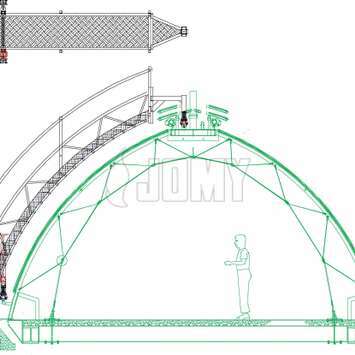 Based on the desired principles of operation we typically propose one or more designs, using our experience to ensure the designs are practically feasible and provide the desired ease of use. 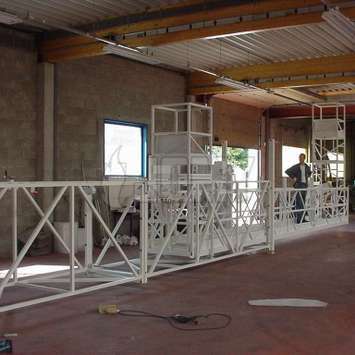 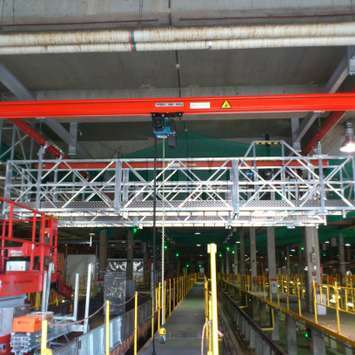 We also produce custom platforms to be integrated in third party Building Maintenance Units. 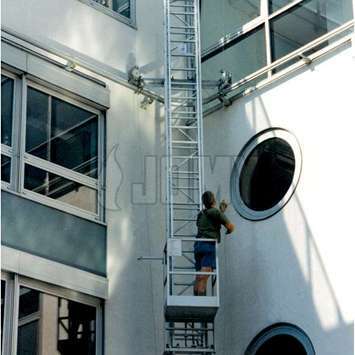 The mobile ladder is supported by a rail system: a round-shaped rail at the bottom on which the ladder sits, and an I-shaped rail on top from which the ladder hangs. 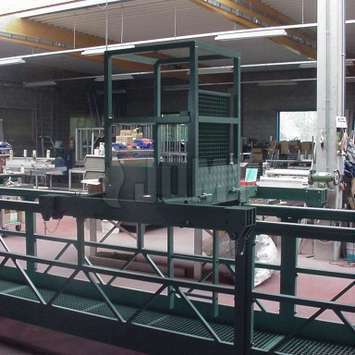 The unit moves over these rails by means of a trolley system. 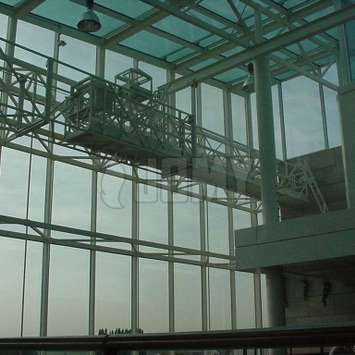 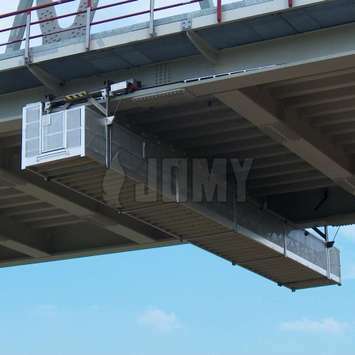 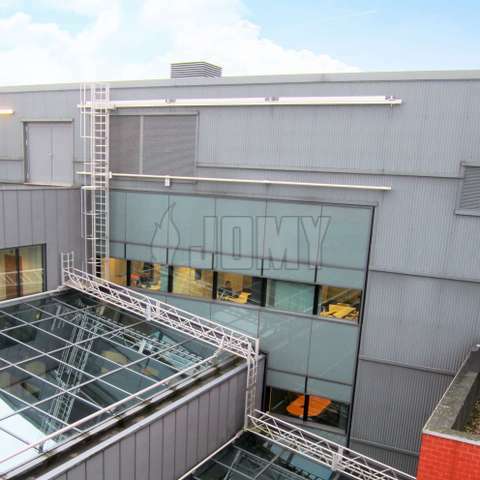 JOMY aluminium gantries can either be hanged from I-shaped rails, sit on round-shaped rails, or a combination of the two for a complete support structure. 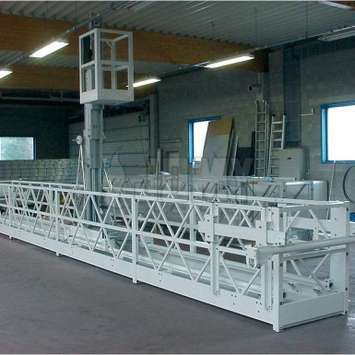 Movement can be provided by different systems depending on the distance to be crossed, with a preference for manual for its increased reliability over time.